Simon is a typical teenager - in every way except one. Simon likes girls, weekends and enjoys mucking about and playing practical jokes. But what's different is that Simon has muscular dystrophy - he is in a wheelchair and doesn't have long to live. See Ya, Simon is told by Simon's best friend, Nathan. Funny, moving and devastatingly honest, it tells of their last year together. Winner of the Times Educational Supplement Nasen Award. 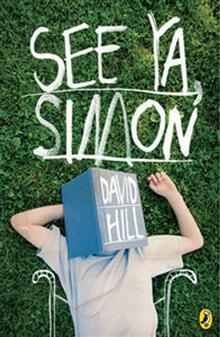 David Hill is a prolific and highly regarded New Zealand writer, playwright, poet, columnist and critic. Best known for his highly popular and award-winning body of work for young people, ranging from picture books to teenage fiction, his novels have been published all around the world and translated into several languages, and his short stories and plays for young people have been broadcast here and overseas. Born in Napier, New Zealand, David studied at Victoria University of Wellington and became a high-school teacher, teaching both in New Zealand and the UK. 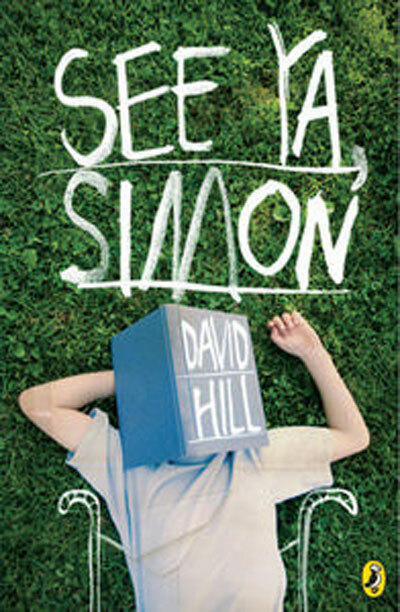 In 1982 he became a full-time writer and his first novel for teenagers, See Ya, Simon (1992), about a boy with muscular dystrophy, was shortlisted for major awards in New Zealand and the UK and won the 1994 Times Educational Supplement Award for Special Needs. An enduringly popular novel used as a class text in high schools all over New Zealand, in 2002 it was awarded the Storylines Gaelyn Gordon Award for a Much-loved Book. David has published more than 40 titles over the past three decades. His recent middle-grade novels include My Brother's War (2012), which in 2013 won the Junior Fiction Award and the Children's Choice Junior Fiction Award in the New Zealand Post Book Awards for Children and Young Adults, the LIANZA Librarian's Choice Award and was listed as a Storylines Notable Junior Fiction book, a White Raven and an IBBY Honour book. This was followed by novels Brave Company (2014) - also a Storylines Notable Junior Fiction book; The Deadly Sky (2015); Enemy Camp (2016), which won the 2016 HELL Children's Choice Award for Junior Fiction; Flight Path (2017), a Storylines Notable Book; and Finding (May 2018). David is also the author of a number of critically acclaimed picture books with illustrator Phoebe Morris. First to the Top (2015) is their bestselling story of the life of Sir Edmund Hillary, which won the 2016 Children's Choice Award for non-fiction and was a 2016 Storylines Notable Picture Book. Speed King (2016), about the world-record-breaking achievements of Burt Munro, and Sky High (2017), recounting the life of the daring aviator Jean Batten, were both presented with Storylines Notable Picture Book awards. In 2004 David was made a Member of the New Zealand Order of Merit and in 2005 he was awarded the Storylines Margaret Mahy Medal, acknowledging his significant contribution to children's literature in New Zealand. He lives in New Plymouth with his wife Beth, and juggles his many writing projects with numerous school visits, leading professional development for teachers, mentoring new and emerging writers and tutoring creative writing.